Hours: Mon. – Fri., 10am – 4pm; closed Sat. and Sun. Click here for driving directions and maps from Sacramento and Reno. 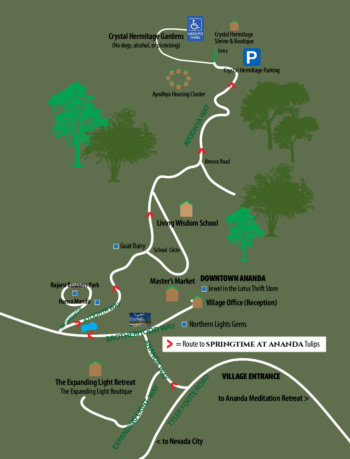 Click here to view an Ananda Village map to the Reception Center. From Tyler Foote Rd., turn left (at the entrance of Ananda Village) onto Ananda Way. Drive a short distance on Ananda Way until you get to the “T” intersection, where Ananda Way meets Brotherhood Way, at the fountain. Turn left into the large downtown parking area. 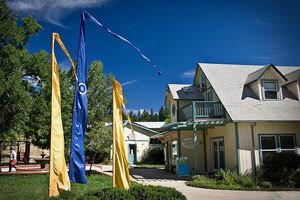 The Village Reception Office is straight ahead. 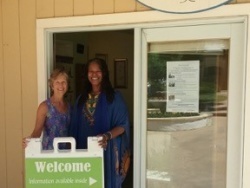 The staff at the Village Reception Office looks forward to greeting you. 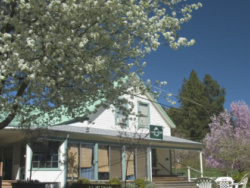 The Village Reception Office is located in the heart of “downtown Ananda,” across from the community’s market and the Village green.